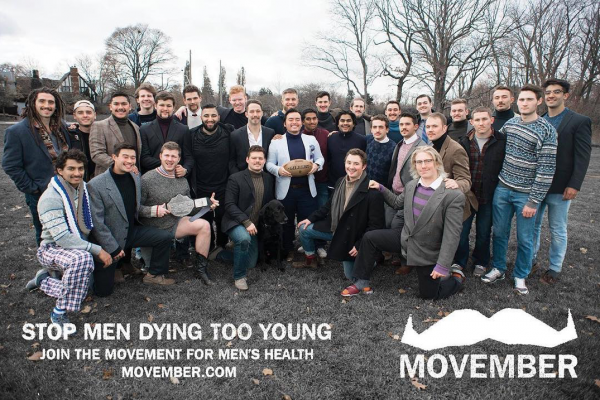 For the past five years, the McMaster men’s rugby team has been running their own Movember campaign, raising money for men’s health initiatives. Last year, the team collectively raised around $6,100, motivating them to increase their goal for 2018 to $7,000. The Movember Foundation is the leading charity that focuses on men’s health. They focus on issues such as prostate cancer, testicular cancer and mental health and suicide prevention. This initiative was started in 2003 and has funded more than 1,200 men’s health projects worldwide. Callum MacLeay, a fifth-year kinesiology student, is leading this year’s Movember campaign. As the club captain on the rugby leadership team, it was his responsibility to take over the Movember initiative, since the club captain is involved with coordinating any off-field fundraising and team bonding. MacLeay has raised over $1,400 since 2015 and has set a personal goal of $1,000 for this year. “Seeing as last year’s goal was $6,000 and this year’s is $7,000, it would be awesome to reach the realm of raising $10,000,” said MacLeay. MacLeay has been participating in Movember for four years now and was inspired by the fact that his grandfather had prostate cancer. “[This] made [Movember] something easy to engage with because it was something that I personally connected to,” said MacLeay. Seeing as Movember raises money for men’s health, it is something that connects and affects everyone on the men’s rugby team. This creates a sense of motivation towards making a difference in this area of charitable work. “[Movember] has ranged to a new focus on mental health, which is a big push that made us want go support [this initiative],” MacLeay explained. When they first started the campaign, they had around 20 players participating; they now have around 50. This increase in participants shows an increase in support, thus bringing awareness to this initiative’s importance. What comes with this sense of empowerment is the understanding that no one is alone and that we are all going through things. With focuses on issues such as mental health, we can remove stigmas and transition into a world that disallows people from suffering in silence. Not only has the men’s rugby team worked towards removing stigmas and promoting men’s health, but they have banded together with other Marauders as well. “Men’s volleyball, basketball, baseball, and football have joined us in our Movember initiative here at McMaster,” said MacLeay. On Nov. 29 and 30, the men’s rugby team will be setting up an information table in the David Braley Athletic Centre on campus. They will be selling t-shirts, wrist bands and will be holding a raffle as well. All proceeds will go towards their Movember campaign. 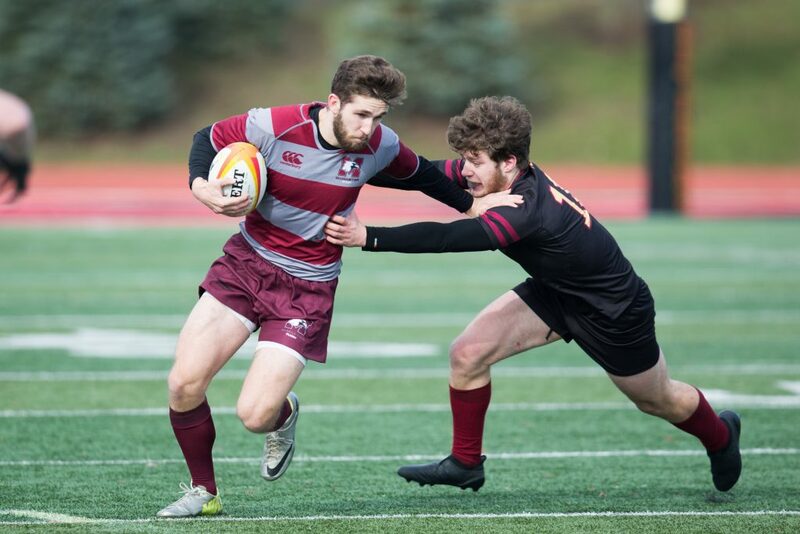 It is without a doubt that the amazing efforts of the McMaster men’s rugby team are instrumental in changing the ways in which we view men’s health, while sparking a conversation around mental health. Change is possible, with some Marauder spirit, camaraderie and a sense of empowerment.